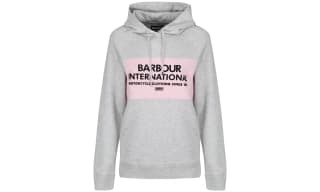 For the causal, lounge about day, a trip to the gym or a run in the park; the hoodie has served many women and many functions and now we have a range of fantastic, quality women’s hoodies that can serve you too. Our women’s hoodie collection houses a range of stylish, quality hoodies that will remain a part of your wardrobe for many years. Discover an inimitable design with our vast collection of women's polo shirts…a classic wardrobe staple consistently re-designed for the modern woman . 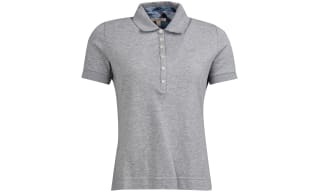 The classic polo is a necessity no matter what your individual look, since its creation almost every brand in the fashion world has a version of their own polo - featuring classic detailing from the smart preppy collar to the edged cuff sleeves and button placket neck. Discover a world of undeniably elite craftsmanship with our collection of women's sweatshirts. 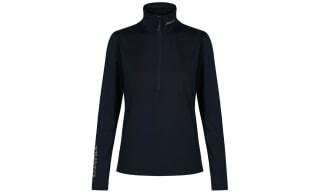 Weekday training or weekend comfort, our range of ladies sweatshirts and training tops offers plenty of choice. Casual styles that positively say ‘hug me’ as they are so soft and comfortable. Beautifully soft textiles from leading brands including Barbour, Seasalt and Joules. Their captivating designs will become firm favourites in your capsule wardrobe - whether you're off on a long weekend away, heading into town, hitting the stables, or simply taking the dog for a walk. In a plethora of colours... the choice wide. Athletic sporty numbers are contrasted by prettily printed pieces that will fully equip you from morning through until night. Find your go-to style and shop our full collection. 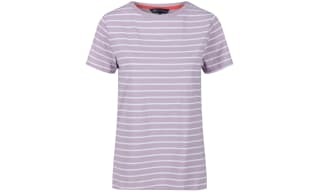 Rediscover a collection of luxury basics with our range of women's t-shirts - the backbone to your wardrobe. 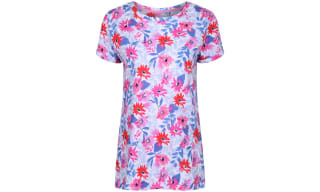 Whether for your sports club, a lounge around day or that summer holiday you’ve been waiting for; t-shirts are a must have item and our range of women’s designs are sure to bring your wardrobe to life. Whether a fan of the classic t-shirt, the bold print tee or the simple crew neck we have an extensive range that will no doubt offer you just what you are looking for. Discover the inimitable look of Barbour with their signature prints and heritage-inspired style, or create a covetable look with Joules' quirky tees that will brighten up any outfit come rain or shine. 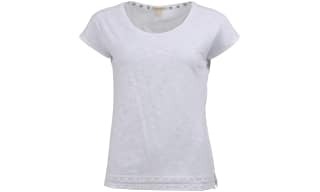 Perfect with a plethora of garments from jeans and skirts to shorts and jackets, the ladies t-shirt is both stylish and functional...explore our beautiful range that embodies quality craftsmanship. 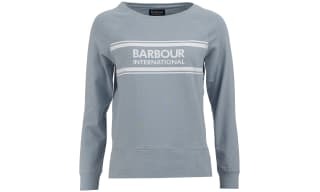 Discover a laid back style with our range of women's jersey tops, the perfect solution for casual days. With a beautifully and stretchy fabric, jersey tops are the must-have designs in your wardrobe that effortlessly fuse comfort and style for all occasions - ensuring you can dress all day long in stylish pieces that won't compromise on fit or feel. 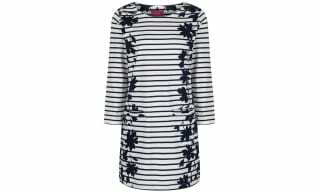 Look no further if you're a fan of the ever-fashionable Breton stripe or a bold floral number from covetable brands such as Joules, Barbour, Seasalt, Crew Clothing and GANT. Discover an inimitable design with our collection of women's rugby shirts…a classic wardrobe staple consistently re-designed for the modern woman . 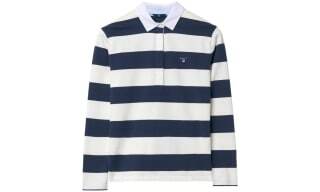 The rugby shirt is a necessity no matter what your individual look. 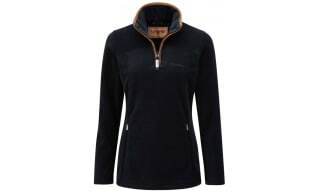 Modern designs in our range adopt a slick contemporary fusion of design and colour - thanks to brands such as Joules, Barbour, and Gant bringing a more contemporary touch to sit against the technical classics from Musto and Crew Clothing. 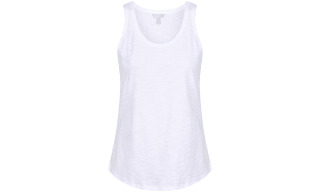 Immerse yourself in the luxury appeal of our signature brands with our women's vest and tank tops collection - a completely versatile selection of basic items that will build your wardrobe repertoire in style. Perfect for everyday wear or summer time ensembles, Vests and tank tops are the best way to keep your signature look whilst remaining cool - as well as building up easy to wear layers throughout every season. 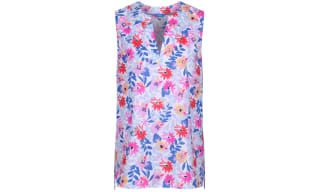 The sleeveless designs are versatile and practical, showcased here in bright and bold pieces that sit against neutral basics for the ideal wear-with-anything item.